← Finish It Up Friday ~ Black and White Reveal! 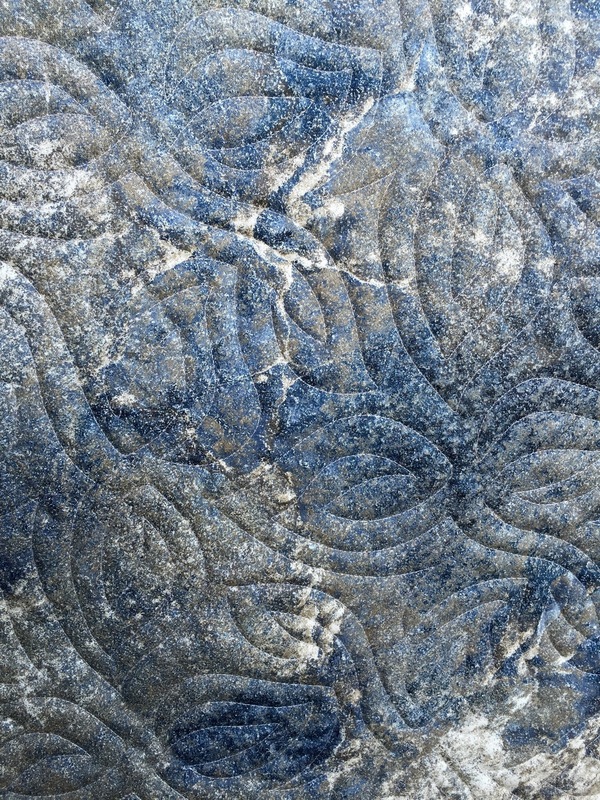 My friend, Donna, is a fairly new quilter, but she is good. I knew she would be! This is the second top I have quilted for her and both of them were perfectly flat! Music to a long armer’s ears :). Isn’t this beautiful? 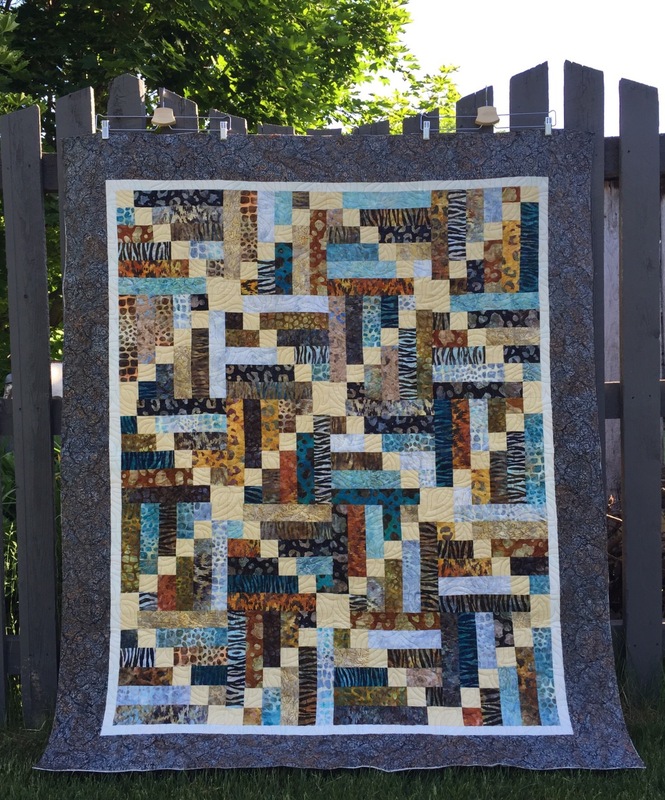 I quilted a fairly dense pantograph called Ground Cover from Urban Elementz on this. I used Light Tan Glide thread. It has Warm and Natural batting. This next picture shows the colors the best. Color is off on this one, but the quilting shows! I really love this backing fabric that she chose. It was a pleasure quilting for you, my friend! 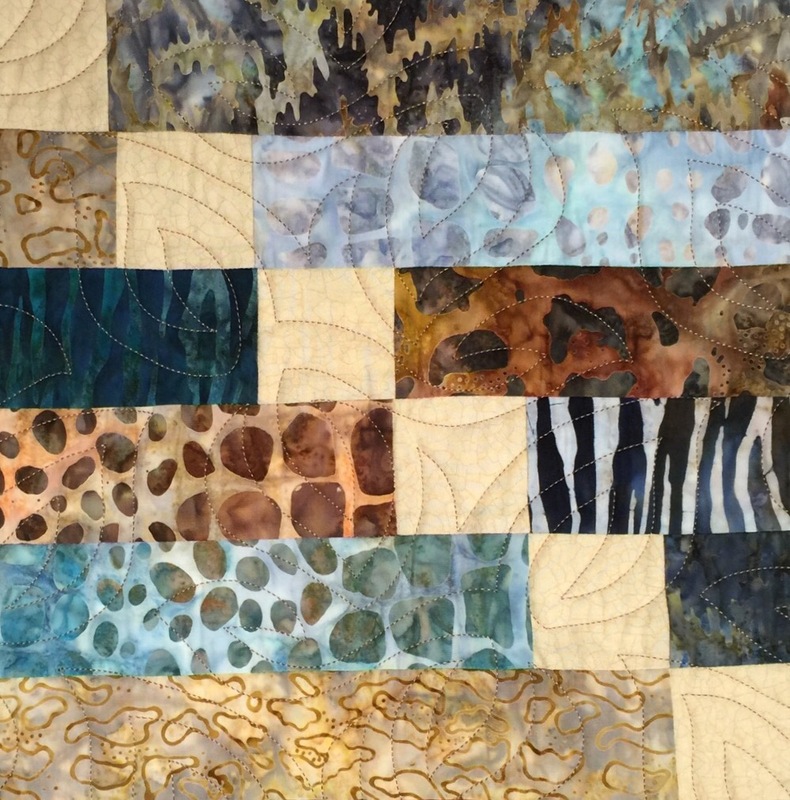 This entry was posted in Customer Quilts, HQ Avante, Machine quilting, Pantographs, Uncategorized. Bookmark the permalink. Great job on both your parts! Good team work ladies..
What a beautiful design, Donna!! And, Katy, “ground cover” was ideal for this quilt. Great job – both of you! Donna and Katy you are both an inspiration to me. You both do beautiful things with fabric. Thank you, Katy. 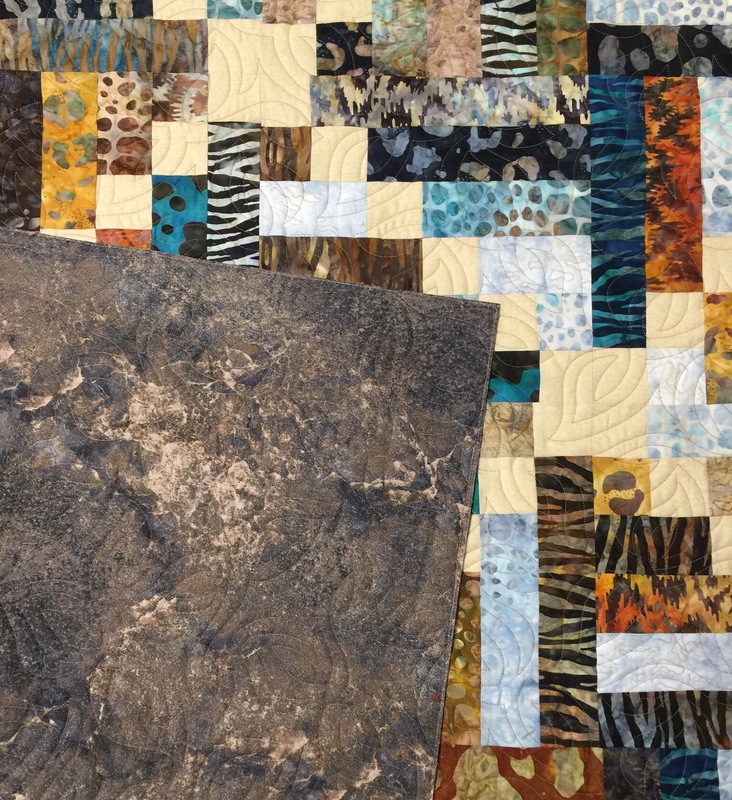 I love the quilting and your pictures! You are the best. I appreciate your kind words and our friendship. You encourage and inspire me. What a beautiful quilt! And the quilting is lovely, by the way.